I thought of a good question! What is the best Yoga for Astral Projection? First of all you are probably wondering what astral projection is. Astral projection involves developing our natural intuitive and spiritual abilities as done by the siddhis. They are the spiritual powers as discussed by Patanjali in the Yoga sutras such as clairvoyance, telepathy, clairuadeince, levitation, astral travel, out of body experiences, and travelling to see other worlds. 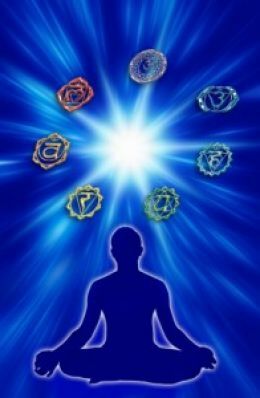 So the best yoga is to develop astral projection is yoga that develops your third eye such as eye yoga, alternate nostril breathing and eagles pose. Even yoga that brings energy to your upper chakras such as headstand and shoulderstand can be useful. A word of warning about these kind of practices. Please Make sure you stay GROUNDED. Remember you live in this world where you have to pay the rent or mortgage and feed your body. Practice grounded postures like tree pose, squatting, warrior poses, walking on the earth and lying on the ground.